As you know, the tremendous devastation caused by the fires in Sonoma/Napa and beyond has left thousands of families homeless. 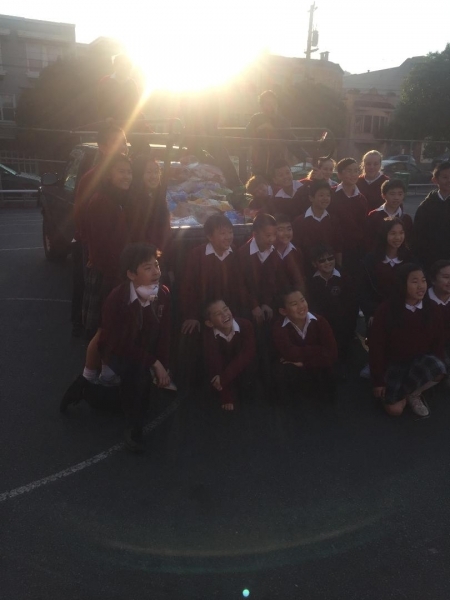 Our school has a been in contact with the South San Francisco Police Department as to the needs of these displaced families. 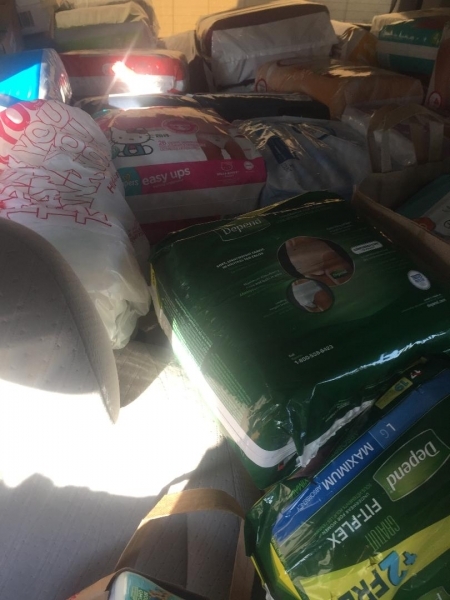 At this time, they have received sufficient clothing, but are in desperate need of baby food, wipes, dog and cat food etc. 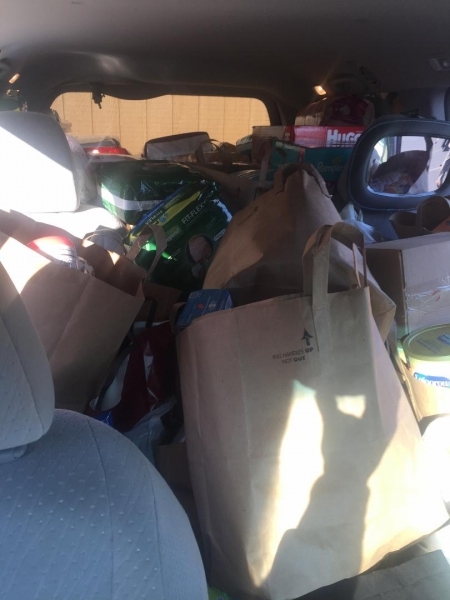 St. Anne has responded by initiating a donation drive to help those in need. I wanted all of you to see what a great response we received from all of you. 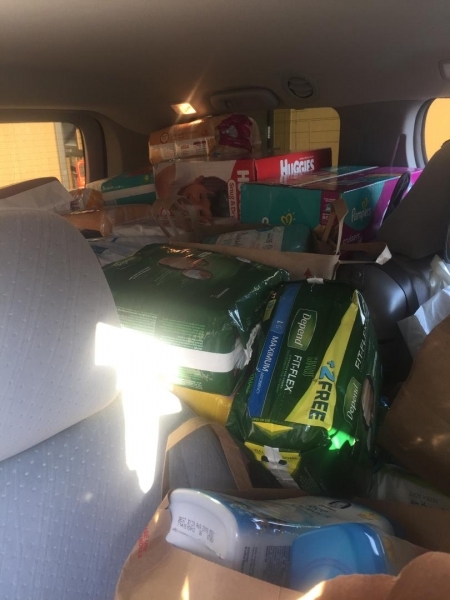 One truck load, one van, and one car were needed to transport these much-needed items. 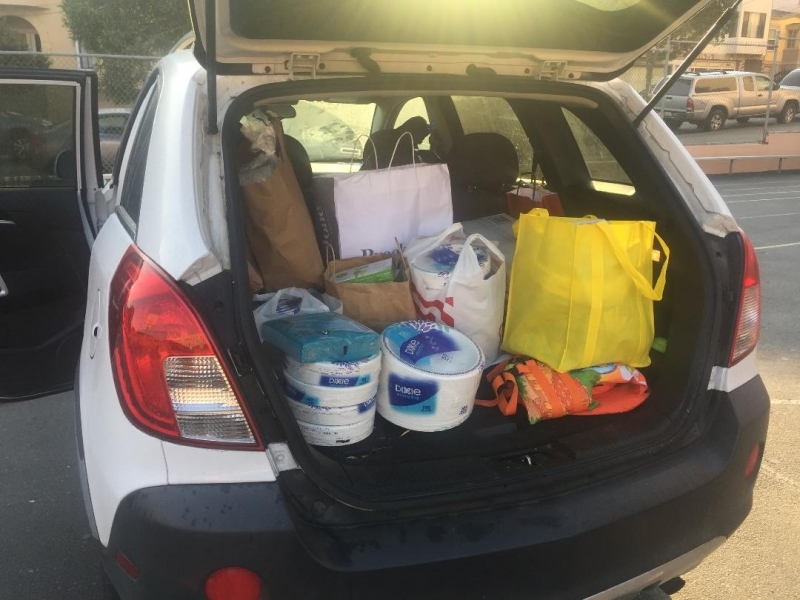 The St. Anne School Parents ARE TRULY….the very BEST!!! Thank you so much for your quick and generous response to the call for help. St. Anne Celebrates Bishop Walsh’s 80th Birthday. Bishop Daniel Walsh grew up in the Sunset District and graduated from St. Anne School in 1950. After completing his studies, Bishop Walsh was ordained to the priesthood in 1963. Bishop Walsh went on to work in a number of parishes within the Archdiocese. During these years, he also taught at Serra High School in San Mateo. After serving in many roles within the Archdiocese, Bishop Walsh was consecrate as a bishop and served as the Auxiliary Bishop for the Archdiocese of San Francisco from 1981 until 1987. He was then appointed the Bishop of the Reno/Las Vegas diocese. 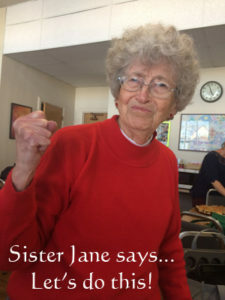 He went on to serve as the founding bishop for the Las Vegas diocese when the two diocese were split in two. In 2000, Bishop Walsh was appointed the fifth bishop of the Santa Rosa diocese where served for 11 years until his retirement in 2011. Today, Bishop Walsh is enjoying his retirement at St. Anne of the Sunset Parish in San Francisco. In addition to helping out in the parish by saying Masses, Bishop Walsh is a “fixture” at the school gate every morning during the school year. Bishop Walsh welcomes all the students with a smile, a hand shake and a warm greeting. 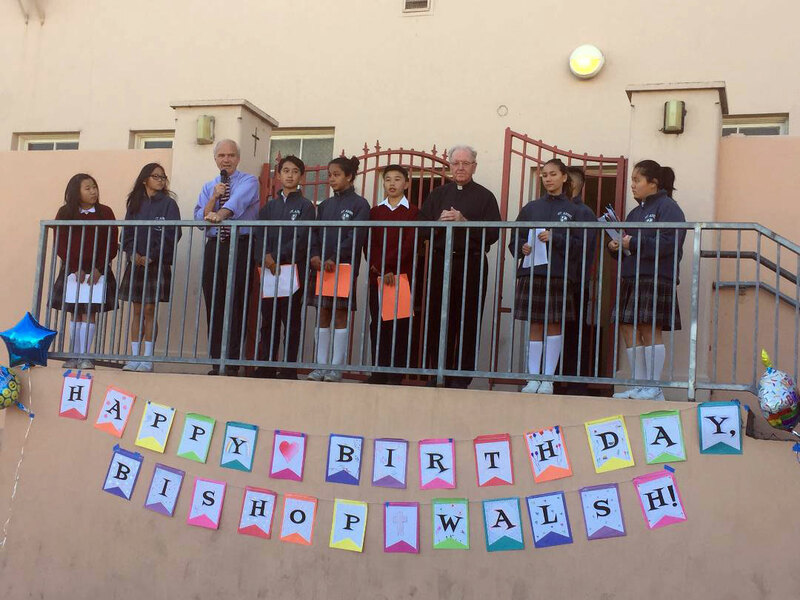 On Monday, October 2 the St. Anne student body helped Bishop Walsh celebrate his 80th birthday. Special congratulations and words of thanks were extended to the Bishop from the Principal, Tom White, Student Body President, Jake Truong and the St. Anne Spirit Squad. Every class created a special birthday card for the Bishop. In addition, a restaurant gift card was given to Bishop Walsh to enjoy. Concluding the assembly was a rousing chorus of Happy Birthday followed by some coffee and pastries prepared by the school staff!! Happy Birthday, Bishop Walsh and we wish you many many more blessed years ahead.